Are you looking for a luxury transportation company to support your hotel property? Call Kevin Smith Transportation Group today at 610-222-6225 and learn how we can reduce your shuttle costs, increase room bookings for your Weddings and be the luxury partner your corporate clients want to work with. A hotel operator with 5 properties in the area wanted to improve their shuttle service for their clients. They had an aging fleet of shuttles that during peak times couldn’t handle the volume. They were also burdened by labor costs due to overtime and a lack of qualified drivers. As their partner for social events and larger groups already, we presented a solution where we would purchase brand new shuttles for their entire portfolio, leveraging our team of Chauffeurs and providing discounted pricing for “other” vehicle needs like larger mini-buses or sedans. The solution allowed them to jettison their aging fleet, repurpose existing staff into more traditional hotel duties and eliminated any risk associated with running the vehicles. The client’s biggest challenges were aging vehicles and an abundance of overtime spent when guest requests for shuttle services extended past normal operating hours. They didn’t want to make the large capital expense for purchasing the newer vehicles required to support their shuttle business. The alternative was to invest in a new fleet. While this was an option, it didn’t solve the labor challenges of day to day staffing, including the pain of the overtime. Fundamentally, the hotel wasn’t interested in being a ground transportation company and preferred to identify a single partner who could onboard all of their transportation needs. So keeping the shuttle work in-house was ruled out as an option. After sitting with their stakeholders, we proposed a multi-faceted solution. First, purchase brand new sprinters for their entire hotel portfolio. This would allow for the immediate replacement of their existing fleet. We provided permanent staffing with a team of dedicated Chauffeurs who would work exclusively for the properties. In addition, we built out a dedicated Account Team that would be able to handle the entire management of the program, including working with their Corporate and Wedding clients. Ultimately, our ability to provide the scale and luxury of a full-service transportation company was more than they could ever deliver themselves. In addition, we also could be an extension of their own sales team, working closely with their clients. 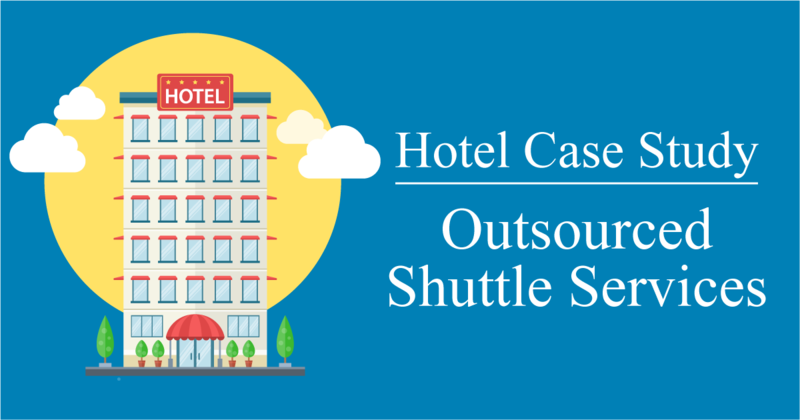 Thank you for reading today’s case study on outsourcing shuttle services for hotels. Hopefully, you found this information insightful and you will be able to apply some of these solutions to your specific transportation challenges. For more case studies on the ground transportation industry, visit www.kevinsmithgroup.com/blogs.